Hello Kitty fans, it's time you add your favourite character to your makeup bag. There's always been a wide variety of Hello Kitty products available on the market — like toasters, phones, and Japanese bullet trains to name a few — but there haven't been many beauty products to add to your stash. 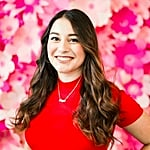 Luckily, silicone beauty applicator brand MakeupDrop teamed up with Japanese company Sanrio for a collaboration that will add a dose of cuteness to your beauty routine. 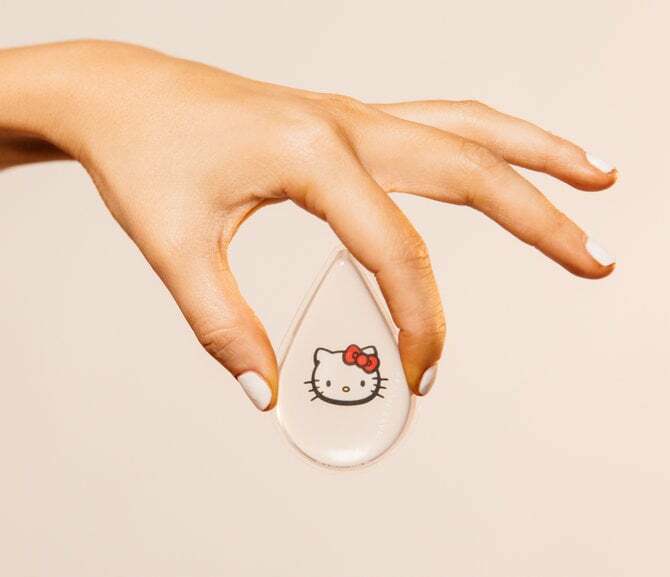 The MakeupDrop x Hello Kitty Silicone Beauty Applicator ($20) is a tear-shaped tool with the adorable feline printed on it, and can be used to apply liquid makeup to your face. Not a big fan of foundation? You can also use it for your skin: just keep the applicator in the freezer and pop in under your eye area whenever you need to depuff. While the silicone blenders are reusable (you can wash them with soap), nothing lasts forever. We recommend stocking up on these while the collaboration lasts.